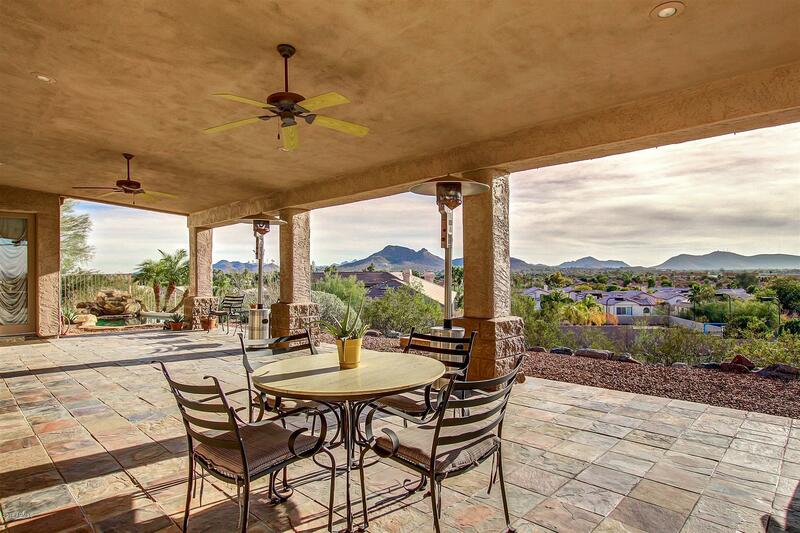 All Stone Mountain Estates homes currently listed for sale in Phoenix as of 04/23/2019 are shown below. You can change the search criteria at any time by pressing the 'Change Search' button below. "The Best Views in Phoenix! This Custom home sits on a Hillside one Acre lot with a Dream Workshop located in Gated Stone Mountain Preserve! This Unique hillside lot could not be duplicated today 3000+ Sq Ft Main house, 4 Car Extended Garage and 2100 Sq Ft Detached Shop with living Qtr! This home is Located in an HOA but excluded from all HOA Rules and Fees! The Eat-in Chef's kitchen boasts Custom Alder Cabinetry, Granite Countertops, Built-in Fridge and Premium appliances. Large Master Suit"